Entravision Communications Corporation (NYSE: EVC) announced that it was honored with two Medallas de Cortez Awards at the Hispanic Radio Awards hosted by Radio Ink in San Diego. Entravision’s Matt Cardenas, the General Sales Manager for Entravision’s radio cluster in Los Angeles, California, was honored with the “Sales Manager of the Year: Markets 1-25” award and El Gato KDLD-FM and KDLE-FM Los Angeles, California received the “Station of the Year: Markets 1-25” accolade. 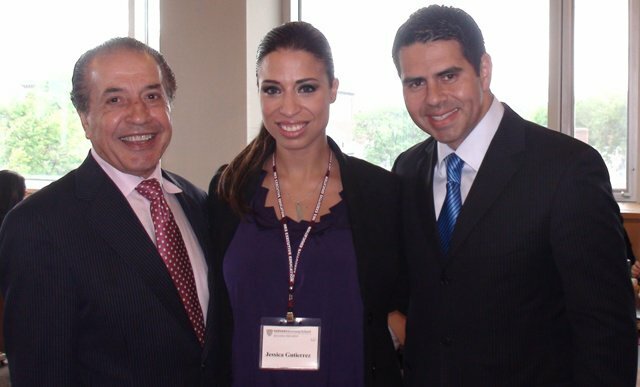 Cardenas leads national and local advertising for Entravision’s Los Angelesradio stations: Super Estrella 107.1 FM, El Gato 103.1 FM and Jose 97.5 FM. 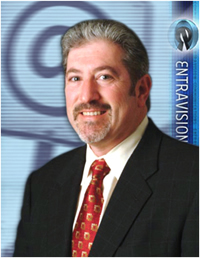 He has been a member of Entravision’s sales team for the past three years. 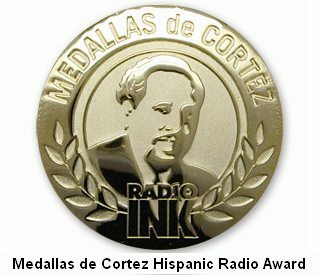 The Medallas de Cortez awards were created by Radio Ink Magazine to recognize outstanding achievements and leadership in the Hispanic radio marketplace. The awards are named after Raoul Cortez, a pioneer in Hispanic radio in America. The Hispanic Radio Awards were held as part of Radio Ink’s Hispanic Radio Conference, held March 21-22 also in San Diego. Key members of Entravision were present among the prestigious group of speakers and panelists speaking at the event including Jeffrey Liberman, President of Entravision’s Radio Division, Phillip Woodie, President of LER (an Entravision company) and Christopher Moncayo, Vice President and General Manager of Entravision Phoenix properties. 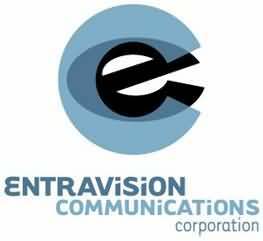 Entravision Communications Corporation is a diversified Spanish-language media company utilizing a combination of television, radio and digital operations to reach Hispanic consumers across the United States, as well as the border markets of Mexico. Entravision is the largest affiliate group of both the top-ranked Univision television network and Univision’s TeleFutura network, with television stations in 19 of the nation’s top 50 Hispanic markets. The company also operates one of the nation’s largest groups of primarily Spanish-language radio stations, consisting of 48 owned and operated radio stations. Additionally, Entravision has a variety of cross-platform digital content and sales offerings designed to capitalize on the company’s leadership position within the Hispanic broadcasting community. Entravision shares of Class A Common Stock are traded on The New York Stock Exchange under the symbol: EVC. “The number of networks focused on the Spanish space has increased from around 12 in 2001 to 100 just a month ago,” says Univision networks prexy Cesar Conde, who points out that Univision alone will have a dozen networks by year’s end compared with three last year. These include Univision’s upcoming news and sports pay TV nets in addition to the telenovela channel now on Dish Network plus the six TuTV pay TV channels, jointly owned with Televisa. One of the most anticipated new players is MundoFox, a joint venture between Fox Intl. Channels (FIC) and Colombia’s RCN, due to launch in the fall. The new Spanish-lingo network will showcase edgier Colombian telenovelas and look to build on Fox’s success in inserting itself into a market. Meanwhile, Fox and Univision recently bowed Jennifer Lopez and Marc Anthony’s pan-American talent competish “Q’Viva! The Chosen,” while Fox’s “Family Guy” airs on Univision sibling web TeleFutura. “The reported 2011/2012 upfront numbers were $1.75 billion for Univision, and $400 million for Telemundo, up 20% from the 2010/2011 upfront,” says Antonio Ruiz, partner-communications planning at leading Hispanic ad agency, the Vidal Partnership. Telemundo and its youth-skewed bicultural cable sibling Mun2 delivered more than 20% growth year-to-year, marking their best upfront season ever. “Our Hispanic strategy is not limited to Telemundo (or Mun2) alone,” says Zalaznick, who points out that NBCUniversal’s theme parks, studio, cable and broadcast networks, digital assets and Comcast’s leading position among cablers in the U.S. allows the company to collectively reach 93% of all Hispanics. She adds that landing the Spanish-language U.S. rights to World Cup Soccer matches in 2018 and 2022 would not have happened without the joint efforts of NBC Sports and Telemundo Deportes. “When Fogelman approached me with the idea for this channel, I immediately said yes,” says Rodriguez. He’s building soundstages on his 25-acre property in Austin for the English-language channel, which will include animation, music, reality, scripted shows, movies, docus and sports programming. “The key is to make it universal; I want viewers to watch it because it’s cool, not Latino,” adds Rodriguez. Another upcoming Latino-owned Comcast network is BabyFirst Americas from Spanish-lingo TV exec Constantino “Said” Schwarz, which is slated to launch by April. Meanwhile, Lionsgate and Mexican partner Televisa have expanded their joint film venture, Pantelion Films, onto the smallscreen as well. (Over the March 16-18 weekend, Pantelion scored big at the B.O. with “Casa de mi Padre,” which nabbed $2.4 million on 382 screens.) The partnership will include English-lingo format adaptations of TV content from Televisa’s library, and the development of scripted and unscripted English-language original programming. The companies have set up a hefty development fund to enable them to attract top showrunners and talent for an average output of six to eight projects a year, including the sitcom spinoff of Pantelion’s debut pic, “From Prada to Nada”; “Badlands,” a scripted drama at ABC based on Televisa hit telenovela “Soy tu Duena“; Televisa’s drama skein “Terminales” for ABC Family; and “Teresa,” based on another Televisa telenovela. 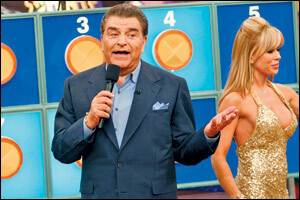 “Forty-two of the top 50 shows are already watched by bilinguals on Univision,” says Conde. But U.S.-partnered players aren’t the only ones gearing up to deliver Latino shows to the U.S.: Venezuela’s RCTV, once the oldest and most dominant broadcaster in Venezuela until president Hugo Chavez shuttered it for allegedly inciting rebellion, revived its production capabilities in October, keenly aware of the growing interest in Latino-themed stories. Latin America’s wealth of talent, formats, stories and programming innovations has not been fully tapped in the U.S., says Joshua Mintz, exec VP of Telemundo Studios, which is churning out six to seven telenovelas a year, mainly in Miami. Mintz points to ABC’s hit adaptation of Colombia’s “Ugly Betty” and, most recently, Fox Television Studios plans for an English-lingo version of “La Reina del Sur,” Telemundo’s biggest hit telenovela.